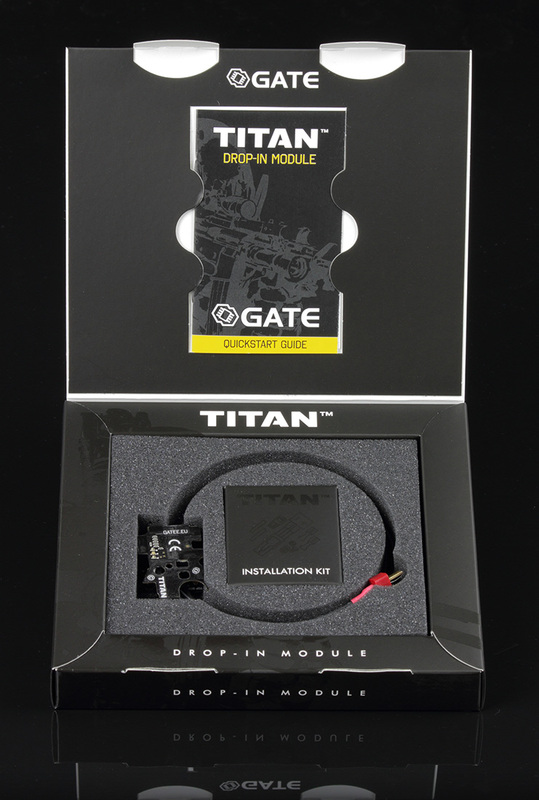 GATE Electronics - TITAN Drop In MOSFET V2 Complete Set - Rear or Front Wired is a drop in MOSFET Kit designed for Version 2 Gearbox, which are typically seen in M4 Variant Rifles. 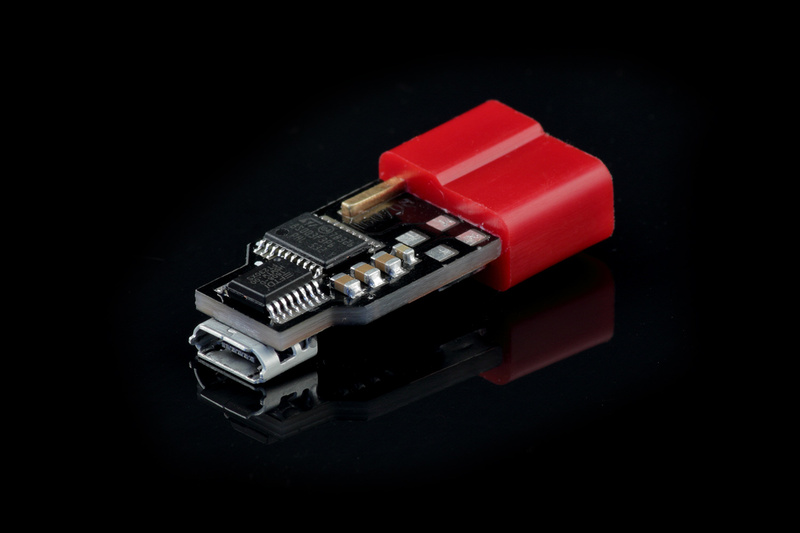 This variation of the Kit comes with the MOSFET Unit, the Programmable Pad, and the USB-Link. 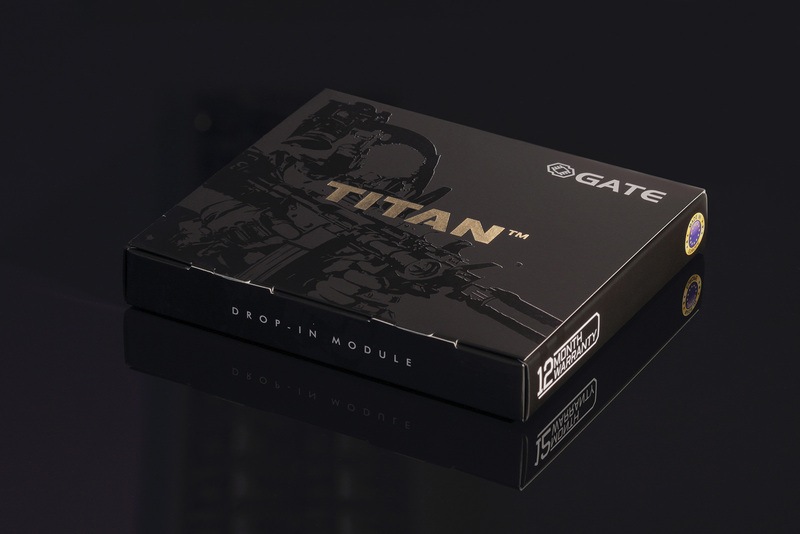 The Titan is a complete trigger set replacement, with optical sensors instead of mechanical switches and has a high end software and sensor based sector gear detection, allowing some of the fastest and most efficient AEG builds. 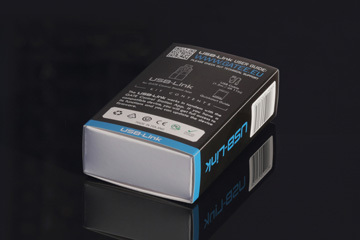 The board is specially coated with Mil-Spec MIL-V-173C Varnish, making it moisture and fungus resistant, and supports batteries in the range of 3V up to 17v, making it great for Ni-Mh, Ni-Cd, Li-Po, and Li-Fe Batteries and is compatible with most V2 Gearbox on the market with no modification. 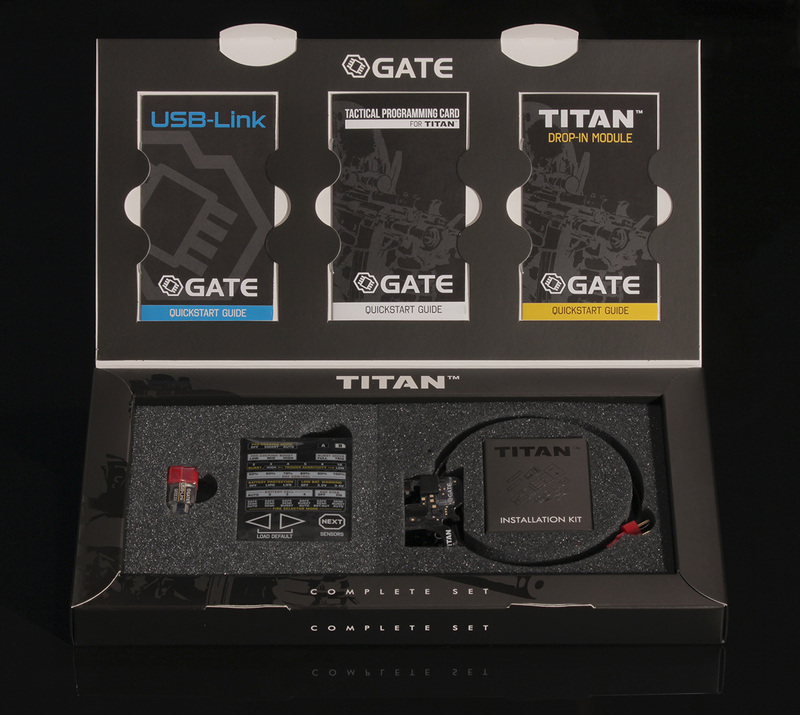 The Titan Board itself is built in the EU by Gate Electronics, and comes with a 12 Months Manufacturer Warranty for defects and stands out from the crowd due to its Optical Sensor Controlled System rather than Mechanical ,and has Eight Onboard Optical Sensors. The board boasts a huge array of features, with the most impressive being the Auto-Adjusting pre-cocking and breaking system, using the on-board sensors to detect the position of the Gearbox's Gear's Teeth, allowing the system to get a perfect result with almost no configuration. The board itself, once installed, is capable of very fast repeated semi-shots, with gearbox protection ignoring the trigger pull if the rifle is not ready, allowing for faster, more consistent shots compared to other units. 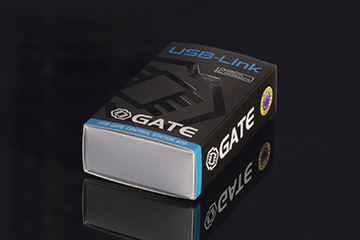 Once installed the MOSFET can be re-programmed via the Gate Configuration Card or via the USB-Link to a Windows based PC, allowing the firmware to be updated, and can be used to Error Check your Weapon should something go wrong. 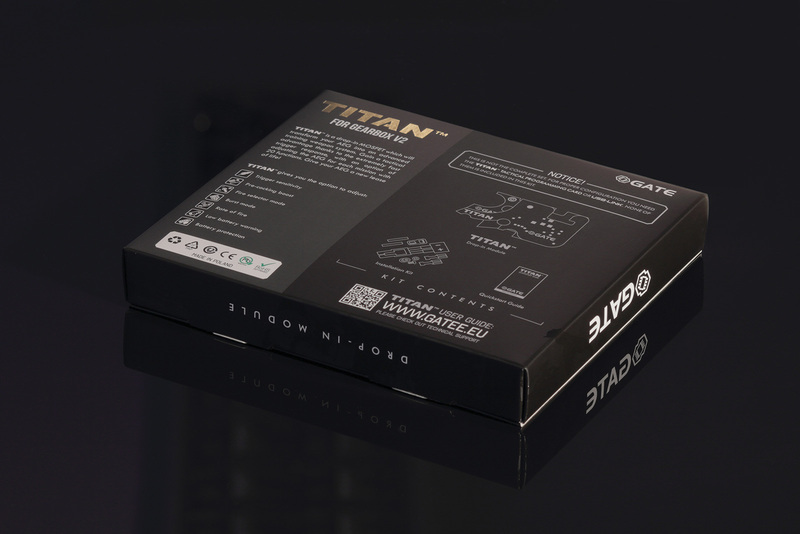 Whats important to highlight with the Titan, is that its strength lies not just in its list of features, but also in how well theyve been implemented. For more information on this Gate MOSFET. 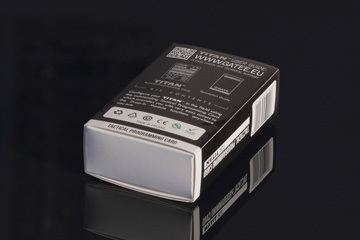 ich are typically seen in M4 Variant Rifles. 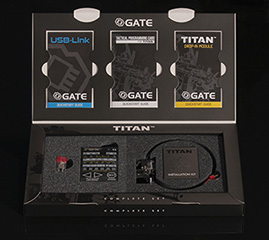 This variation of the Kit comes with the MOSFET Unit, the Programmable Pad, and the USB-Link. The Titan is a complete trigger set replacement, with optical sensors instead of mechanical switches and has a high end software and sensor based sector gear detection, allowing some of the fastest and most efficient AEG builds. The board is specially coated with Mil-Spec MIL-V-173C Varnish, making it moisture and fungus resistant, and supports batteries in the range of 3V up to 17v, making it great for Ni-Mh, Ni-Cd, Li-Po, and Li-Fe Batteries and is compatible with most V2 Gearbox on the market with no modification. 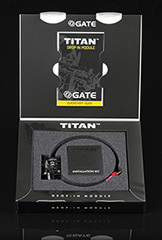 The Titan Board itself is built in the EU by Gate Electronics, and comes with a 12 Months Manufacturer Warranty for defects and stands out from the crowd due to its Optical Sensor Controlled System rather than Mechanical ,and has Eight Onboard Optical Sensors. 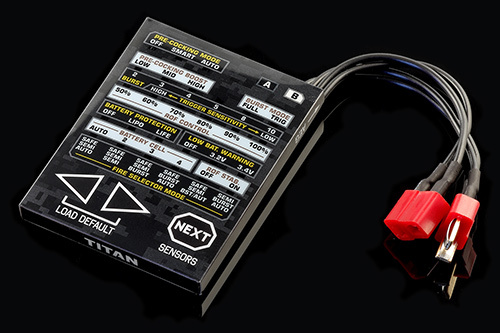 The board boasts a huge array of features, with the most impressive being the Auto-Adjusting pre-cocking and breaking system, using the on-board sensors to detect the position of the Gearbox's Gear's Teeth, allowing the system to get a perfect result with almost no configuration. 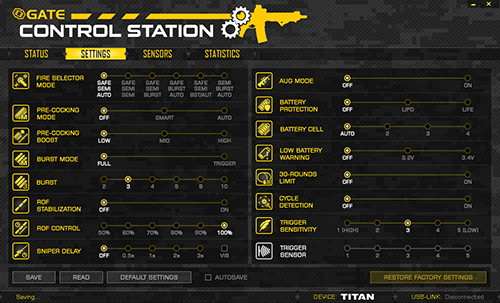 The board itself, once installed, is capable of very fast repeated semi-shots, with gearbox protection ignoring the trigger pull if the rifle is not ready, allowing for faster, more consistent shots compared to other units. Once installed the MOSFET can be re-programmed via the Gate Configuration Card or via the USB-Link to a Windows based PC, allowing the firmware to be updated, and can be used to Error Check your Weapon should something go wrong. 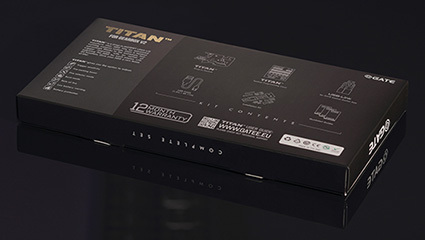 Whats important to highlight with the Titan, is that its strength lies not just in its list of features, but also in how well theyve been implemented. For more information on this Gate MOSFET. You can buy each module separately or altogether as a complete set. 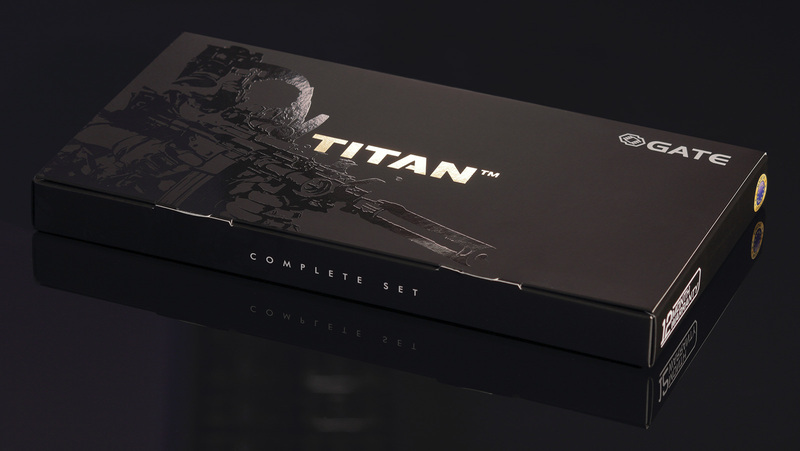 We recommend to buy the complete set to take total advantage from TITAN. The complete set version: at once you purchase all you need to take total advantage from TITAN.